Have an Existing Account? Send Money Today. Check our AUD to PHP exchange rate today! Choose from a wide range of topnotch remittance services! 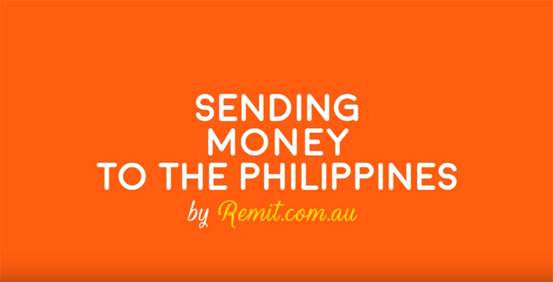 Whether you need to transfer money to Philippine banks via wire transfer, have your money delivered to your recipient’s door or picked-up from the nearest remittance center, pay your bills payments in advance, or transfer funds to your offshore employees’ bank accounts, Remit will take care of your transactions. Sending your remittances has never been so easy. Experience the reliable and secure service we are known for with the warmth of Filipino hospitality. 1. Just Log-in to your Remit account. 2. Tell Us Who You Want to Remit the Money to. 3. Pay Using a Secured Payment Option. And that’s it! Send money to the Philippines. Anytime. Anywhere. "You can send money anytime and anywhere." "They move your money without making you move." "Quick and Easy online money transfer that you can trust." "The best customer service I've ever received." For urgent money transfer inquiries and suggestions, shoot us an email or hit us up on your favorite social media platform.